The Mexican Foreign Ministry expressed "profound regret" over President Trump's decision to end DACA, saying, "Our country cannot ignore the fact that there are thousands of young people born in Mexico who may be affected by the decision announced today." 800,000 people currently rely on DACA to study and work legally in the United States. Of those DACA recipients, 625,000 are Mexican nationals. 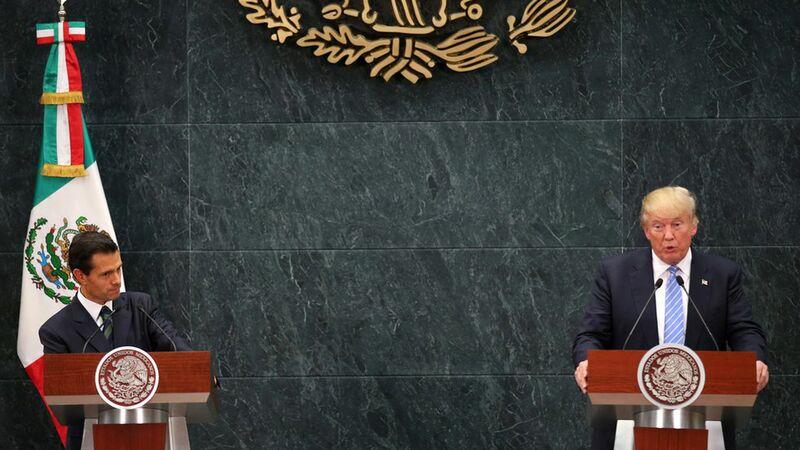 "Mexico will receive with open arms the young Dreamers who return to Mexico," the Foreign Ministry said. It said the Mexican government has taken steps, including creating scholarships, to help DREAMers transition to life in Mexico if they are deported. Mexican President Enrique Pena Nieto said, "To all of you, young dreamers, our great recognition, admiration and solidarity without reservations," in a national address on Saturday.